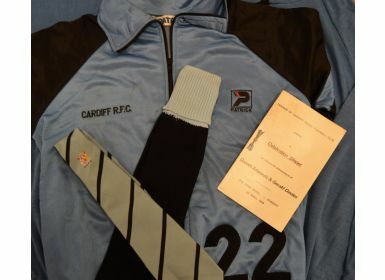 Cardiff Rugby Club Selection: V Large hooded blue training top, Cardiff RFC to Rear, No. 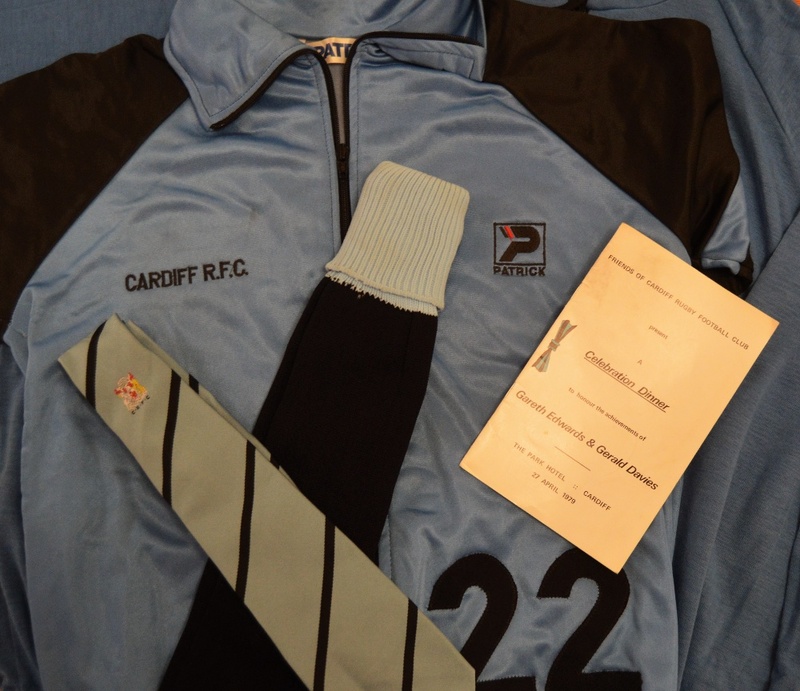 25; zip-up track top, No.22; Cardiff RFC tie and VG condition socks, plus programme for Cardiff Tribute Dinner for retired superstars Gareth Edwards and Gerald Davies. Good collection.